If you've always wanted to learn the basics of card grading, this excellent beginners guide written by the Ebay editorial staff will introduce you to the terminology used by the professional card graders. 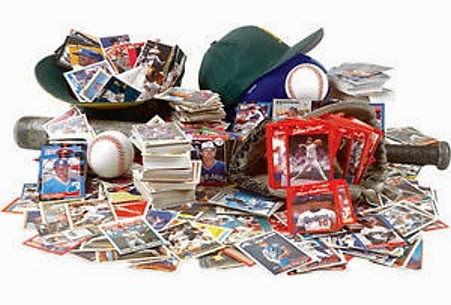 Baseball card collecting has become, for many fans, much more than a hobby. There is a great deal of value in certain baseball cards, and building a valuable collection could take years of research, time, and work. When a collector is interested in building a valuable baseball card collection, it is very important for the collector to know how to grade baseball cards. Baseball card grading is a method of determining the condition and value of a particular card. Why a mysterious collector chased a run-of-the-mill 1964 Curt Flood baseball card. Fans who collect cards often develop a greater connection to the game of hockey, a better understanding of the players and a true loyalty to the sport. A list of ten all-time great football cards that should one day be in your collection. Mar 9 2010: The Back Of The Cards - Does Anyone Still Read Them? Have you every though about the other side of cards and how often you've read the backs of baseball cards. You too can understand card grading.